As people find more creative uses for GoPro cameras, the device's biggest drawback—paltry battery life—becomes more and more glaring. Thankfully, there is now a device that lets you use Canon DSLR batteries to give your GoPro a whole lot of extra juice. 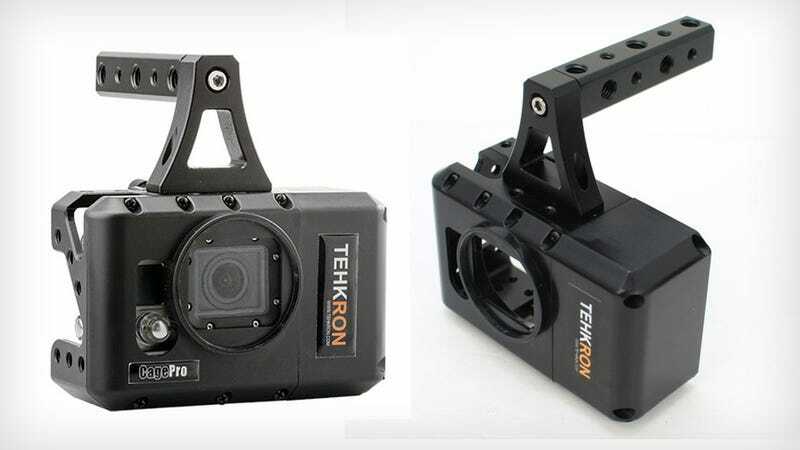 The $180 Tehkton CagePro works with the GoPro HERO 3 or 3+ to add up to 4 hours additional running time with Canon LP-E6 batteries. That time is dependent on what accessories you have attached and what modes you are running the camera in but it still beats the heck out of the paltry 90 minutes or so of recording time the standard HERO 3 battery will get you. 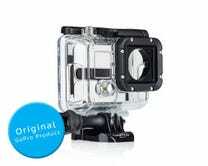 Even the updated HERO 3+, with 2 hours or life, isn't great for those long shooting expeditions. Another great benefit the CagePro provides is a threaded lens filter mount. This will allow you to attach, say, an ND filter to cut the light on bright days and avoid jittery high shutter-speeds. Video producers know how important that can be.